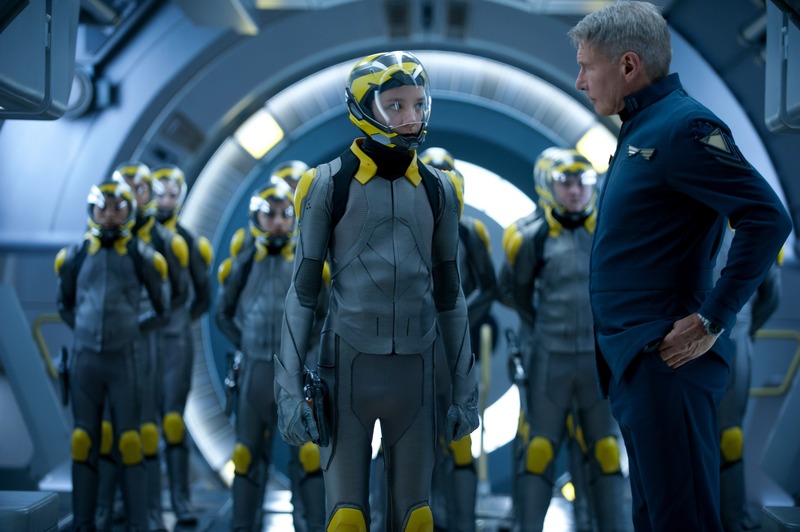 It’s been a long road from page to silver screen for Ender’s Game. In 1985, Orson Scott Card’s futuristic novel won the coveted Hugo and Nebula award – along with legions of fans – but for the past decade the film adaptation has been languishing in developmental hell. Directed by Gavin Hood and complete with a star-studded cast, the popular book has finally been brought to life. But whilst the classic literature is hailed as an inspiring and poignant coming-of-age story, the film doesn’t quite prove itself worthy of similar praise. In the wake of a devastating planetary attack by an insect-like race called Formics, Earth’s most promising youngsters are being recruited and trained to protect the world from future attacks. One such remarkably gifted youth is Ender Wiggins (Asa Butterfield); Fast-tracked through battle school after gaining the attention of gruff Colonel Graff (Harrison Ford), Ender must master laser tag and other strategy-driven games if he is to earn the respect of his peers and become the military leader Graff desperately wants him to be. As is necessary with book to film adaptations there are a number of departures from Card’s prose, the biggest of which is that Hood’s screenplay condenses the six-year timeline into one, using dull narration to bring uninitiated audiences up to speed. Whilst there are a number of interesting ideas at play in Ender’s Game, none of these issues feel like they have been sufficiently delved into by the time the credits roll, with the result being that the film is not nearly as profound as it thinks it is. The special effects are of course the film’s biggest selling point, and the visuals are spectacular. However, Hood’s decision to play everything straight robs these impressive looking sequences of the fun they could have been. That might not have been a problem if the director had substituted fun for tension, but the various mock-battles the youngsters partake in are lacking in both. The cast comprise of a decent mix of youth and experience, but the only actor whose abilities feel like they are being maximised is Butterfield. The Hugo star acquits himself well, showcasing some notable dramatic chops in the film’s final act and generally doing a solid job of portraying what might be going on in the mind of a child being prepared for war. Elsewhere the veterans of the piece are all solid in their roles, but both Ben Kingsley and Viola Davis are underused. Given her role as an emotional advisor for the children, it’s a particular shame that Davis wasn’t given more screen time, as this is an interesting viewpoint the film could have sorely used more of. 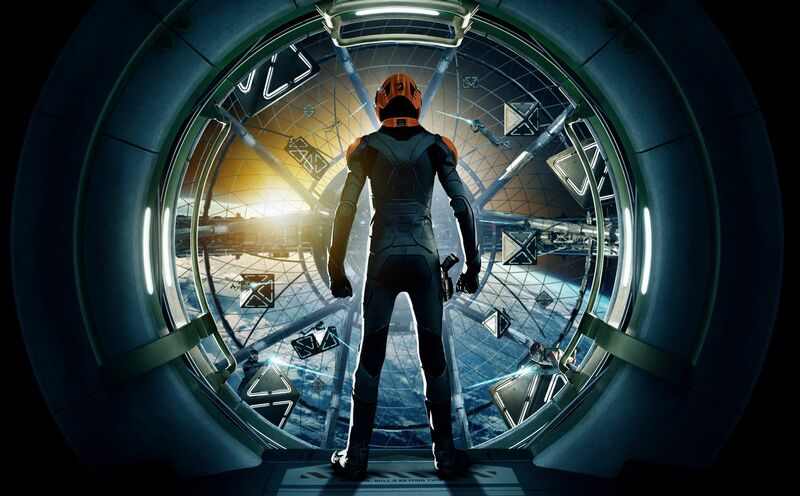 Despite the solid performances – and an admittedly intriguing final 10 minutes – Ender’s Game is an underwhelming sci-fi that makes poor use of its thought-provoking material. This entry was posted on October 26, 2013 by Amonymous. It was filed under Film Reviews and was tagged with Abigail Breslin, Asa Butterfield, Ben Kingsley, Ender's Game, Hailee Steinfeld, Harrison Ford, Orson Scott Card, Viola Davis.